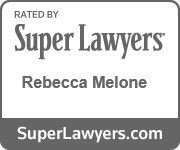 Pet Trusts | Melone Law, P.C. A pet trust is a unique type of trust specifically created to handle the care of your pets. We know that pets are part of the family and that you want peace of mind when it comes to their livelihood. A pet trust will help you control who cares for your pets after your death and what portion of your estate will be used for their benefit. Under state intestacy laws, pets are naturally considered property and therefore fall under the same category as furniture or cars. Without legal documentation such as a pet trust, the state will control who cares for your pets, which may cause them to end up in a shelter or with an unfit family member. This type of trust is created by a will, which will assign a caregiver to your pet and designate money for your pets’ expenses after you die. In the Commonwealth of Virginia, a pet trust will legally ensure that money designated to your pets will be used for their care, creating a pet trust statute. However, those guidelines will not specify a standard of care for your pets nor will it account for situations that may arise before your death. A court also reserves the right to reduce the amount of funds designated for your pets if it believes the amount to be excessive. As with a normal inter vivos trust, this entity is established while you are still living. In this pet trust, you can transfer money for the financial support of your pets at any point and designate trustees to care for them. You can name yourself as the trustee and choose to name alternative trustees in case you become incapacitated or unable to care for your pets. In this type of trust, you may also establish an individual to be a protector, who will ensure that the trustee is adequately supporting your pets according to your guidelines. This trust may also include more specific instructions for the care of the pets, including their food preferences, medical care, and social interactions. Let Melone Law help you plan for your pets’ future and start drafting a trust for them today.